3. 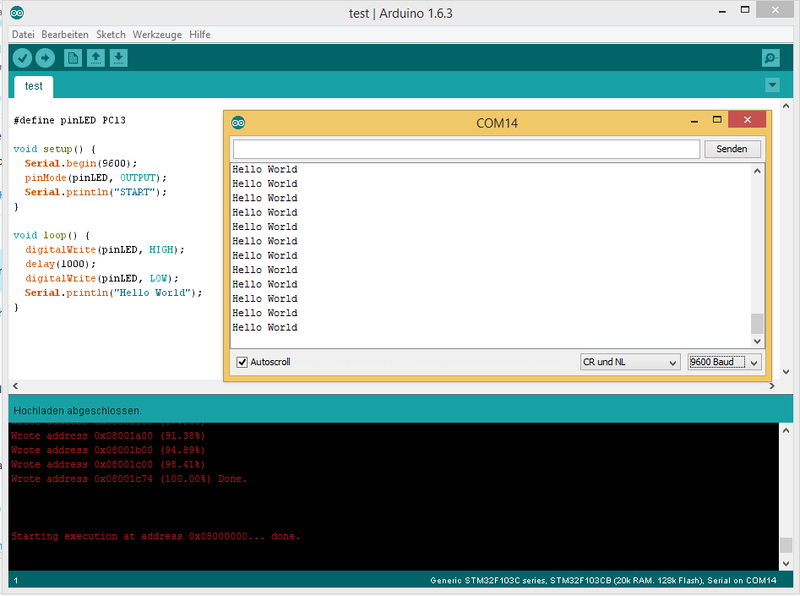 Download ‘https://github.com/rogerclarkmelbourne/Arduino_STM32‘, extract it and copy the folder ‘Arduino_STM32-master’ to your Arduino/hardware folder (C:\Programs\Arduino\hardware). 6. On the board, set ‘BOOT0‘ to 1 (will boot from system memory which contains an UART to flash uploader). Press RESET button. 7. In the Arduino IDE, choose ‘Upload‘. On the board, the blue LED will start to flash. 8. After upload completed, your sketch will start. If you want your uploaded sketch to boot automatically after next power-on/reset, set ‘BOOT0‘ back to 0 (will boot from program memory). Press RESET button. 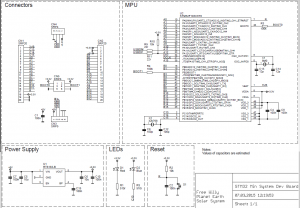 // Initializes the SPI bus by setting SCK, MOSI, and SS to outputs, pulling SCK and MOSI low, and SS high. 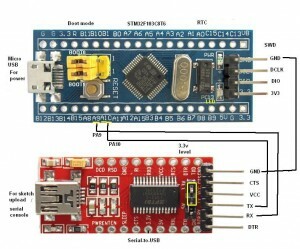 my try to program a STN32F103C8-Board with the Arduino-IDE was successful. 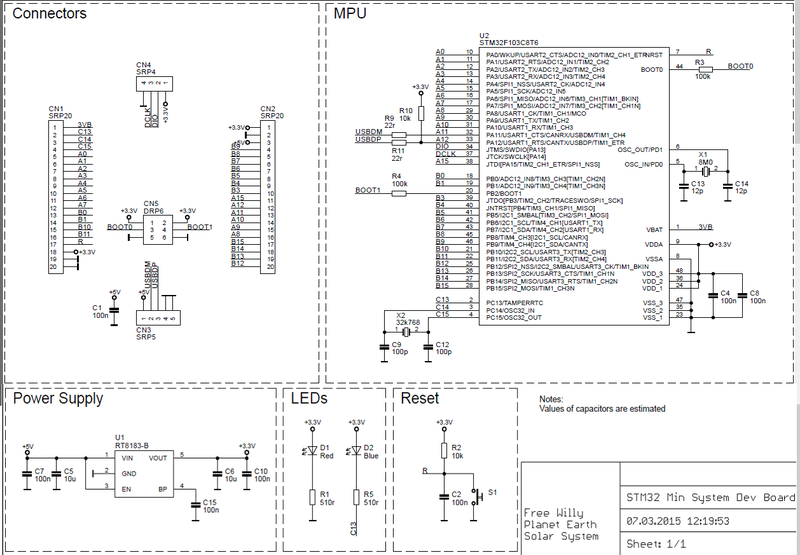 although I select the necessary menu-item “Board: “STM32 Discovery F407”. Run the IDE, open the Tools menu, select “Boards manager”, and install the Arduino Due from the list of available boards. Without the Arduino Due board software installed you will get an error for a missing file when you compile. I though I might point out that the SPI example has a race condition. Its not serious in the example (worse case it will not report an IRQ), but if used as a template for smth more elaborate, the race condition may bite. If irqCounter is, say 2 and lastIrqCounter is 1, we will enter the body of the if statement. Then an interrupt occurs and irqCounter becomes 3, so we print 3 and assign 3 to lastIrqCounter, thereby not reporting interrupt #2. So the code that examines and changes irqCounter should be executed atomically by turning off interrupts for that section of code. As I said above in this example the results of the race condition may only cause the developer to wonder why interrupts are being missed (not reported), but if the code was doing something more complex with the value (e.g. if irqCounter is used as an index to a buffer) it would cause chaos.